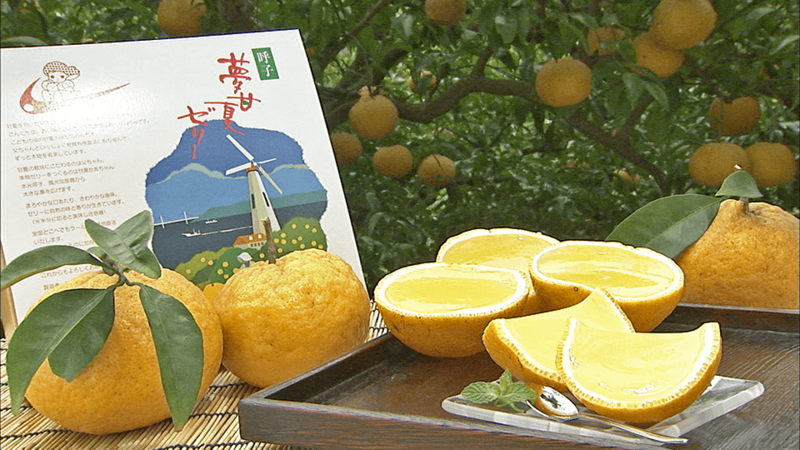 Japan Food Quest: Kyushu | jibtv.com | Japan International Broadcasting Inc. 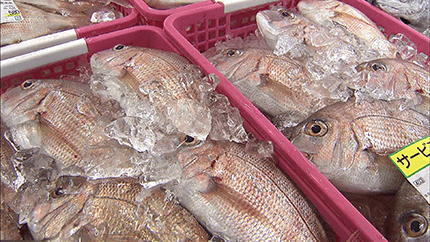 The town of Yobuko in Karatsu City, Saga Prefecture is famed for its fresh squid. Located across Yobuko is the scenic island of Kabe. 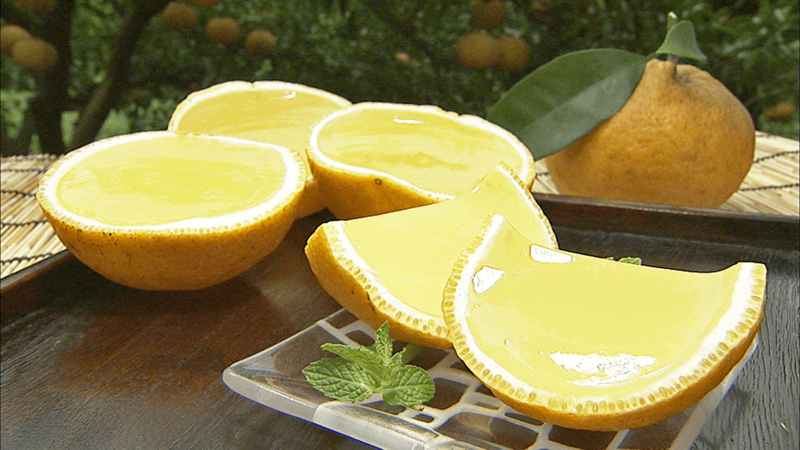 Megumi Yamaguchi makes a popular local dessert, representative of Kabe island or even of Saga Prefecture – the Amanatsu Jelly. 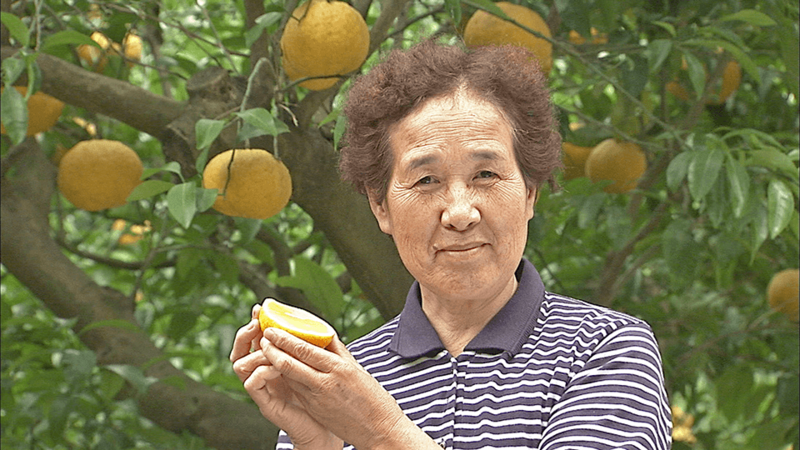 She makes it with a citrus fruit called Amanatsu, grown by her husband, Hajime. 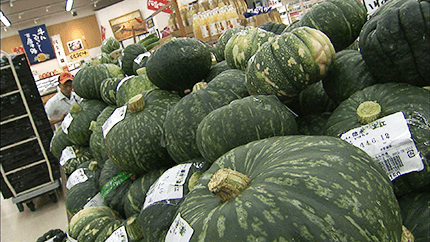 They are grown without using chemicals as much as possible, and are fresh and juicy with a very rich taste. 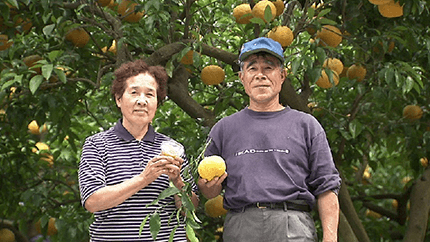 Their family of three generations is cultivating Amanatsu in three hectares of land. Citrus fruits used to have an off season in the winter, but Hajime believes that consumers can enjoy their Amanatsu, cultivated in the island’s mild climate and sea breeze. 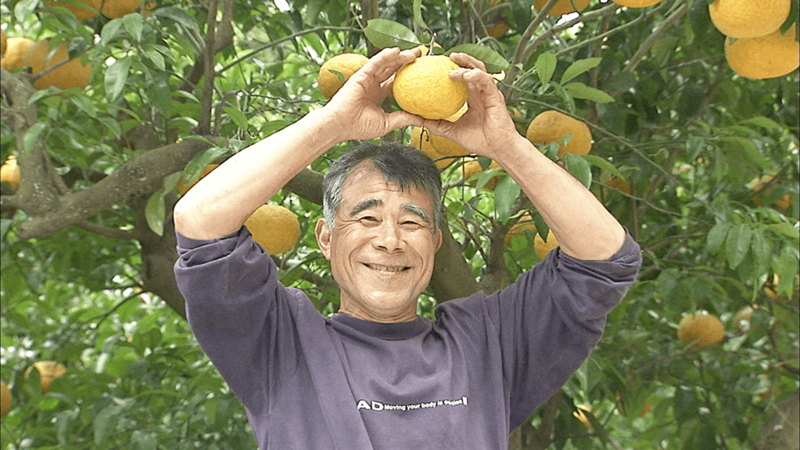 Back in April 1989, when a bridge connected Kabe to Yobuko, it became easier to ship out the island’s produce and this brought about new opportunities. 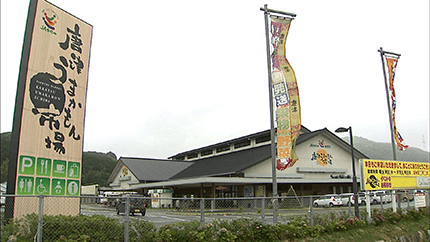 Megumi and other locals came together to create a new island specialty, and after two years of product development, the “Yobuko Yume Amanatsu Jelly” was born. 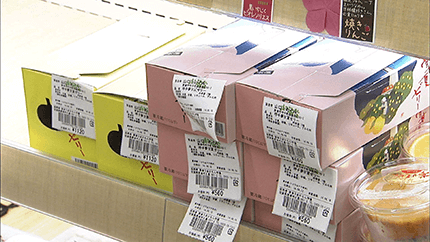 Amanatsu Jelly’s delightful taste has spread through word of mouth and is continuing to grow as a product loved by many. In the panoramic backdrop of Kabe island, the program documents Yamaguchi family’s passion towards Amanatsu. Take the Showa bus bound to Kabeshima at Oteguchi Bus Center near Karatsu Station. 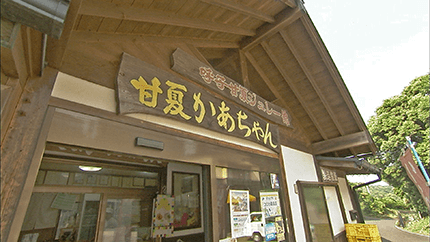 Or take the bus bound to Yobuko at Oteguchi Bus Center and transfer to the Yobuko bus line to Kabeshima. 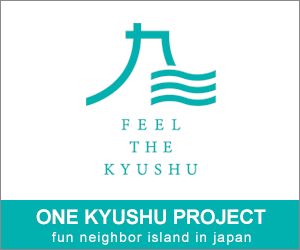 You can also charter a taxi from Karatsu Station at 20,000 yen for five hours including a guided tour. One-way taxi fare from Karatsu Station to Kabeshima is for 5,000 yen. Kyushu bus network portal site "atto bus de"